BTS Bon Voyage Season Three! I was just asking the ladies if they knew if BTS was doing any more variety. In previous years, they’ve done seasons of BTS Run (a fairly typical Idol variety show where they do challenges and whatnots) and BTS Bon Voyage (where we see the members out on vacation, trying to survive in foreign lands). While the ladies thought they heard that they had filmed a Run season somewhere, it’s official, we’re getting a Bon Voyage season three! 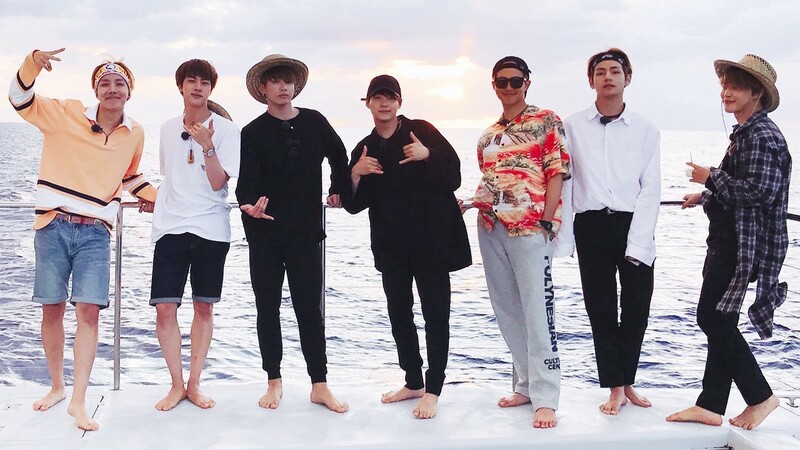 Plus, if they are going to do a show, I’m happy that they are going forward with Bon Voyage as, yes, it’s my favorite out of the two, but it seems that it is something which would be actually enjoyable to do. Yes, they are being filmed a good portion of the time, but it really looks like they’re having a good time, they visit beautiful vacation spots, and do amazing activities. It’s probably as vacation like as they get. Plus? The cameras can’t be on all of the time, there has to be some downtime in these dream locals where they (usually) go unrecognized and get to have downtime. YAY! I can’t wait for this to come out! Ever since going to LA to see them in concert, not going to lie, my teeny bit obsessive love for them has flooded back to me. GO BTS GO! Luckily, we don’t have to wait long, the show, on VLive is set to premiere on 9/18 with a new episode weekly after that!